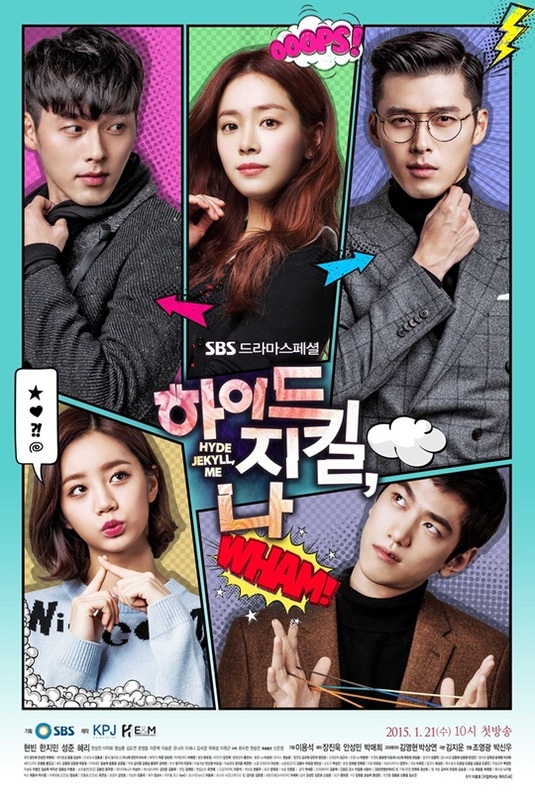 Gu Seo Jin (Hyun Bin) is a third-generation chaebol who runs the theme park Wonder Land. He seemingly has everything: looks, brains and fortune. He is also in line to become the next CEO of Wonder Group, the conglomerate his family owns, though his cousin Ryu Seung Yeon (Han Sang Jin) who oversees Wonder Hotel is his rival for the position, but Goo Seo Jin has dissociative identity disorder, DID. Whenever his heart rate exceeds 150, another personality emerges, and unlike Goo Seo Jin's usual cold, cynical and ruthless self, Robin is kind, gentle and has a savior complex. Jang Ha Na (Han Ji Min) has just returned to Korea after spending several years in the United States with Cirque du Soleil. Like her grandfather and father before her, she is set to take over as circus master of the circus show at Wonder Land, which had once been the park's primary attraction. Jang Ha-na vows to save the failing circus and dreams of revamping it back to its former glory, but she finds herself butting heads with Goo Seo Jin, who wants to get rid of it due to low-ticket sales and high overhead costs. With every antagonistic encounter with Jang Ha Na, Goo Seo Jin notes the alarming spike on his heart monitor, and the two become further entangled with each other. Han Ji Min's character and acting was not up to scratch. Although I have only seen a couple of her previous works, I know she is an amazing actress, but she did not fit at all with her character. Jang Ha Na should be a strong character who is independent when not concerned with her love from Robin/Seo Jin, but Ji Min made her a weak and pathetic character. Chemistry you ask? Nope, nothing. They were cute together; they just never had the kind of love that got you in the gut, or made you think that you’d go move the mountains yourself if it meant that they could be together. They were a sweet, but take-it-or-leave-it kind of couple. Don’t get me wrong, I'm not hating against the drama, the writers or Han Ji Min, I just feel the drama would have been better if it was written differently and executed differently, after all it had the potential. Okay, that was an emotional rollercoaster. I don’t remember being this upset about/because of a drama, since Boys Before Flowers, and even then, it didn’t last as long as this. I agree with Kamji that the writes either died, changed, or had so many people, because after episode 8, it just went downhill. I felt that the writer, was like several people, instead of one (DID?). It was uncoercive, messy and quite frankly enraging. I have in my life never experienced so many mixed signals in a drama and end up with something stupid as this. I say stupid because DID is not at all like this version of crap. I am no psychologist, but NO ONE has this kind of second personality. They actually created a main character, so freaking unlikeable, and the second personality, who by the way still is the main character, more likeable and “heroic”. Just to make it clear, THEY ARE STILL THE SAME PERSON. If that doesn’t annoy you, there is the crap about co-existing, and living with both… but he is not real! Urgh… I am both furious and upset, and I very annoyed that Sung Joon’s character doesn’t fit in my brain - like he portrayed his character very well. But I can’t even like him, because everything else about this is so upsetting. Han Ji Min is as Kamji said, just dumb (that is my use of word, not hers). I don’t get any of it. All in all, a typical Korean drama, but one I wouldn’t watch ever again… nor recommend.